This is a discussion on 2K Sports Announces Winners of NBA 2K12 Soundtrack Contest within the NBA 2K Last Gen forums. New York, NY – May 31, 2011 – 2K Sports and Duck Down Music would like to congratulate Alex Kresovich of Ithaca, N.Y. and D.J.I.G. of Glassboro, N.J. on winning the NBA® 2K12 producer and MC Soundtrack Contest. The grand prize winners will have their song featured in the music soundtrack for NBA 2K12, the next installment of the top-selling and top-rated NBA video game simulation franchise* that is expected to launch later this year. Starting on March 23, 2011, producers had two weeks to create one sample-free instrumental in the hope of being featured in NBA 2K12. Over 1,100 submissions were uploaded to an NBA 2K12 SoundCloud drop box, from which Duck Down Music A&R and 2K Sports representatives narrowed the selections down to the top-ten instrumentals. The instrumentals were then streamed through a custom Facebook application, created by SoundCloud, on the NBA 2K and Duck Down Music Facebook pages. Fans of the Facebook pages were given one week to vote for a winner, which was determined by the largest number of “Likes.” As a result of the voting period,Alex Kresovich was selected as the winning instrumental producer. 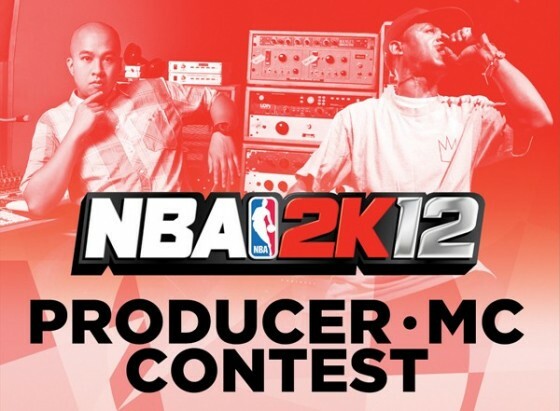 The grand prize winners will now have their song placed in the upcoming music soundtrack for NBA 2K12. In addition, they will receive an all-expense-paid trip to New York City, and have the opportunity to perform their song live at Duck Down's CMJ Showcase in October 2011. The top-10 producers and top MCs will also receive premium SoundCloud accounts valued at over $700.00. For a full recap on the rules & regulations, and to listen to the grand prize winner’s song please visit: http://WWW.DUCKDOWN.COM/NBA2K12. Man, these contests ... I am sick of them. I think it is time for 2K to put real good known songs in the game, instead of raising MC contests. Why not 80`s and 90`s rock songs? Think about it. I think "In the Zone" was better. The vocals weren't very good IMO.